I have very tiny feet, like I’m almost 30 years old and I can comfortably wear a women’s 5 ½ or 6. It’s sometimes quite frustrating to find shoes because stores usually only order a few boxes in those sizes so once they’re gone, they’re really gone. I also struggle to find shoes without some Disney character or pop singer on them. My daughter, Sophie, also had tiny feet. 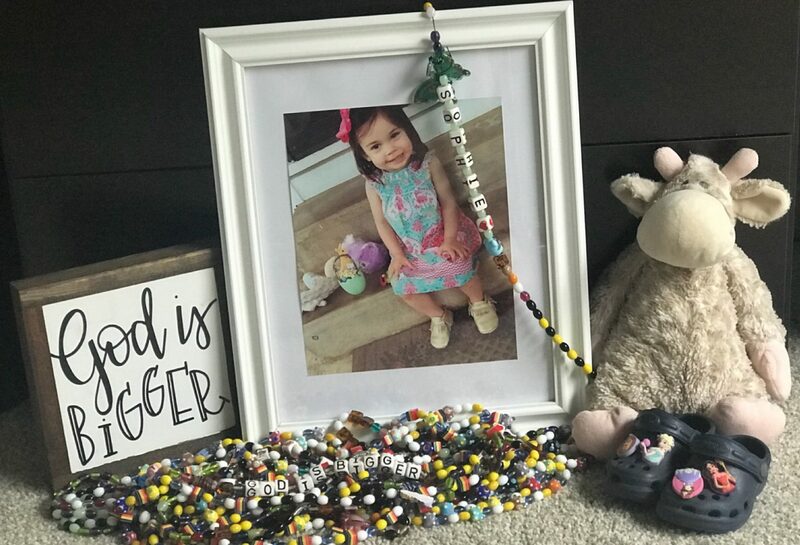 She wore her super cute 12-18 month shoes from 12 months basically until she died at 2 and a half. Her FAVORITE shoes were her navy Crocs. Whenever we were leaving the house, the Crocs had to be on her feet. She’d bring them to me everytime…and was always disappointed if I wanted her to wear much cuter shoes. She loved them so much that we buried her in them. Well, we buried her in new navy Crocs because I kept her beloved, well worn in pair for myself. I’ve decided that grief is like Crocs. Crocs are ugly. They feel weird and uncomfortable when you first put them on because they have those bumps on the inside. You inevitably will get a blister from that rubber strap going across the back of your heel. Yes, they come in all kinds of colors and designs but, no matter what you do to them, they’re still ugly. Even if you add the cute little characters that you pop into the tops holes, they just still aren’t that appealing. Yet you wear them, like they were a gift from a relative and you don’t want to hurt their feelings even though you really want to exchange them for a pair that you actually would pick for yourself. Grief is the same way. It’s uncomfortable and ugly when you first put it on. There’s bumps and it will rub a blister on you that leaves you feeling raw and limping. No matter what your grief looks like or what you do with it, it’s still ugly. You can cry, rage, ignore it, go crazy, stay busy, or lay in bed for days…they’re all ugly. Yet, you wear it and the Lord wears it with you. He is wearing the Crocs too. He feels the blisters. He is the bandaid that will soothe the raw skin. “Surely He has borne our grief and carried our sorrows,” Isaiah 53:4. Crocs, like grief, are not my first choice and I’d exchange them in a heartbeat. Nevertheless, all new shoes have to be broken in. When you wear Crocs for awhile, you eventually start to get comfortable in them. You can bear the bumps and your skin is a little thicker so a blister can’t form as easily. You still don’t really like them and you still think they’re so ugly but, you start to appreciate them. No one chooses the life of a grieving parent. God didn’t ever want that as part of our lives. Death was never supposed to be in the picture. The world broke long ago and our Father took on the role of the ultimate grieving parent so that He could help us in our grief and promise us an eternity with Him and our lost children. Matthew 5:4 says “Blessed are those who mourn, for they will be comforted.” He comes alongside us in our ugly grief and raw hurt and he helps us break in the Crocs.